Option 1: Fly to Nakhon Phanom. Option 2: Take a bus to Nakhon Phanom. The journey by bus from Bangkok to Nakhon Phanom is scheduled to take between 10 hours 30 minutes and 12 hours 10 minutes depending upon which bus service you take. Flying is considerably quicker with the scheduled flight time of 1 hour 10 minutes to 1 hours 35 minutes from Bangkok to Nakhon Phanom. Travelling by bus is, however, only about 50% of the cost of flying and a good option if you are travelling on a tight budget. Departure from Bangkok: Bus services to Nakhon Phanom depart from Bangkok’s Northern Bus Terminal. Nakhon Phanom Bus Station: Lotus Phibun Tour bus services terminate at Nakhon Phanom Bus and Coach Station. 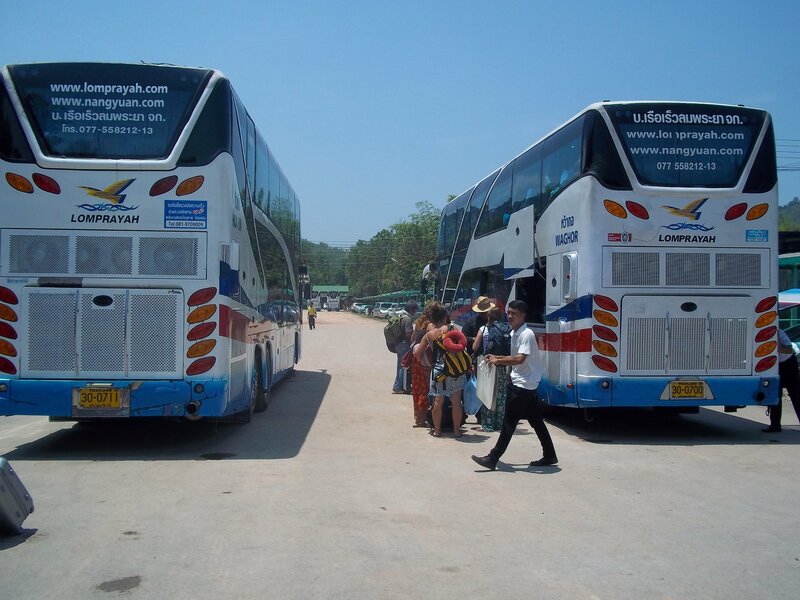 That Phanom Bus Station: Thaisanuan Tour bus services terminate at That Phanon Bus Station. Use the Search Box below to buy bus tickets and flights from Bangkok to Nakhon Phanom. 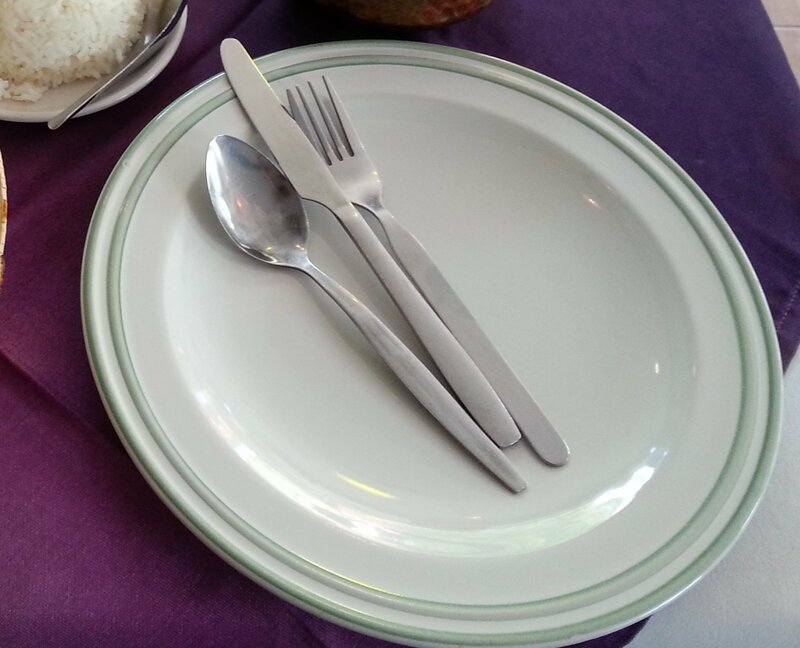 We recommend booking in advance at least a week before the day of travel if you want to take one of the VIP or VIP24 bus services from Bangkok to Nakhon Phanom as these tickets tend to be the ones which are most in demand for the long bus journey. You can also book flights from Bangkok to Nakhom Phanom through the Search Box above. Bangkok’s Northern Bus Terminal, known known locally as Morchit Bus Station, is located to the north of Central Bangkok near to Chatuchak Weekend Market. To reach the Northern Bus Terminal by public transport take either the metro, which runs from Bangkok train station, to Chatuchak MRT (metro) station or take Bangkok’s elevated light light railway to Mo Chit BTS (skytrain) station. From either the BTS or MRT station you then need to take a meter taxi for the short onward journey to the Northern Bus Terminal. On the meter the taxi far should be around 60 THB. If you are travelling from Don Mueang Airport you can take the A1 shuttle bus direct from the airport terminal to the Northern Bus Terminal. Nakhon Phanom is a small city on the Mekong River with a population around 95,000 people. The city itself is clustered around the main road which run north-south following the course of the river. 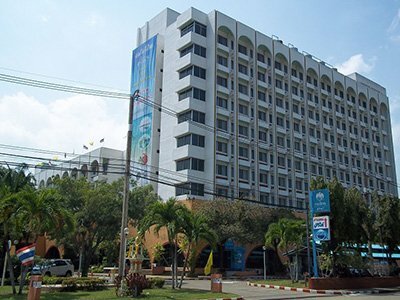 The majority of foreign visitors who come to Nakhon Phanom does so either to travel across the Thai-Laos border which is 15 km to the north of Nakhon Phanom Bus Station or to visit Wat Phra That which is located 55 km to the South of Nakhon Phanom Bus Station in the neighbouring town of That Phanom. The main place of historical interest in Nakhon Phanom city itself is the house where Vietnamese Revolutionary leader Ho Chi Minh stayed between 1928 and 1931. Wat Phra Tat was built in the 16th Century by the Laotion King Setthathirath, on the site of an earlier temple dating back to the 10th Century, and according to legend the temple houses the breast bone of the Buddha. 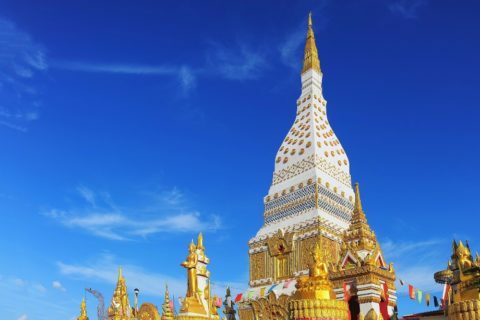 The centre piece of the temple is a 57 metre tall chedi painted in white and decorated in gold. The ornately sculptured top piece of the chedi is believed to contain 110 kilo of gold. Each year a week long festival in held in the temple grounds in April or May (the date varies according to cycles of the moon) and That Phanom town becomes very busy with pilgrims coming to the temple during this period. Admission to Wat That Phanom is free and the temple is open every day of the year during daylight hours. That Phanom Bus Station is located 1.3 km away from Wat Phra Tat Temple in Nakhon Phanom. Nakhon Phanom Bus Station is located 55 km away from Wat Phra Tat Temple in Nakhon Phanom.